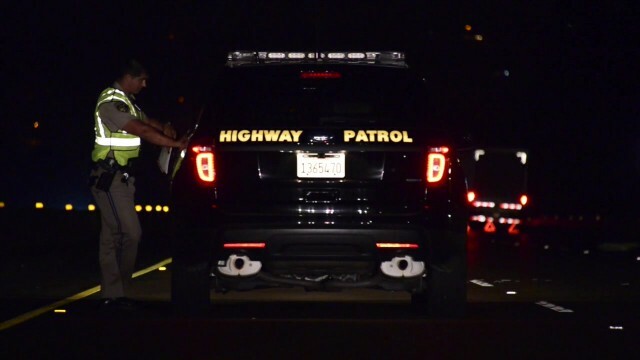 A 24-year-old man was behind bars Monday after allegedly crashing his car into a highway work zone in north San Diego County while drunk, injuring himself along with two construction crew members. Ross Rodgers, 24, was headed south on Interstate 15 near Mission Road in the unincorporated Rainbow community about 10:50 p.m. Sunday when his 2008 Toyota Prius veered over traffic cones and entered the closure area, where it hit the back end of a stationary 2008 Ford F-250, according to the California Highway Patrol. A worker behind the wheel of the pickup truck and a second one on foot nearby suffered apparently minor injuries in the wreck. Medics took the two men, ages 30 and 36, to Palomar Medical Center in Escondido to be checked out, CHP Officer Kevin Smale said. Rodgers was arrested on suspicion of drunken driving and transported to the same hospital for evaluation of a complaint of foot pain. Upon his release from medical care, the San Diego resident was booked into the county jail in Vista on suspicion of felony DUI. The crash led to intermittent closures of parts of the freeway in the area until about 5 a.m., Smale said.